Integrating AI into a business model is not as scary as most people imagine. Probably, you are already using an AI-driven business model. Services like Gmail, Netflix and other recommended engines utilize AI to a large extent. AI also has a major contribution in sales and marketing. With AI, algorithms can process data more efficiently that can be used for optimizing the best marketing strategies and generation of leads. AI enables organizations to streamline their business processes, which can become useful for harnessing creative and intellectual strengths. The robust capability of the AI has brought concern among many people, especially for those who assume that AI can leave a negative impact on the work that can result in people losing their jobs. Turns out that the influence of AI on the work culture has quite the opposite impact. Emerging technologies have always faced resistance of some kind or the other. Part of the reason behind such a behavior is because the potentiality of the technology may have been misunderstood. Integrating AI in a business model will require a well-thought-out strategy that will benefit in the immediate future and longer-term. The following areas demonstrate where AI is being implemented successfully and how this widely used technology is changing the face of business today. Big data offers plenty of relevant information to businesses no matter which industry you belong to. Yet, retention of the disseminated information and generating meaningful results from it are often beyond the reach of human capability. This is a primary reason why AI adds value to a business. Most data analytics are generated online. AI can help to efficiently integrate offline data to provide a more comprehensive view to customers. A closer look at Amazon will reveal how integration of AI is helping to constantly collect and analyze data offline for predicting consumer behavior pattern with a product. A company can utilize the generated data and analytics reports for proper analysis and for better targeting and increased revenue growth. Content creation is impacting businesses for better or worse in major ways. The relevance of new, original, and engaging content is one of the most important aspects of how a business determines its success today. In the past, it was about sales revenues alone. Today, every business will have goals-based contents because it is ever-evolving and all-encompassing. Automations called Natural Language Processing (NLP) and Natural Language Generation (NLG) are already being implemented by media companies to convert data into intelligent content for various verticals namely news, sports, sales, marketing, stocks, and finance. In addition, companies can now quickly respond to new trends as well as create quick and relevant stories for clients. Taking the real estate industry as an example, the MLS API and website are optimizing the use of NLG by applying thresholds, rankings, information retrieval, and seed sentences. A comparative study of AI-generated and human-generated contents reveal the difference in quality and value of both. This comparison is applicable across all industries and businesses. Content creation technology coupled with AI is best suited for analyzing data. Yet, human oversight continues to play a critical role since it is the reader from whom the final action or conversion must be triggered. The bottom line for any business is ROI. 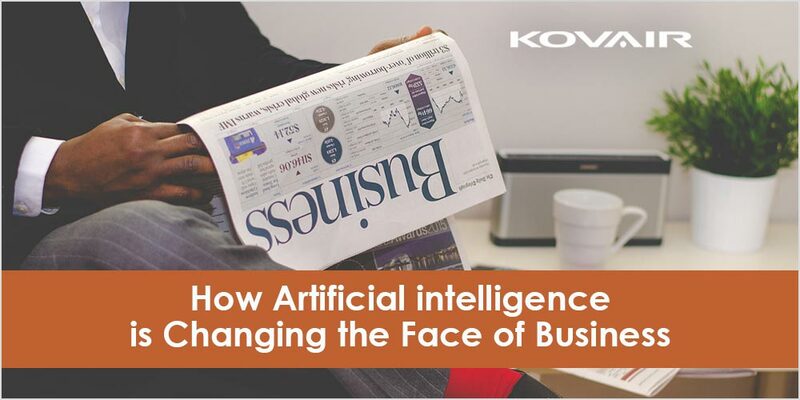 AI is a prime driver in some of the major changes that is being witnessed in today’s business models. That is because AI-driven technology and tools are more effective and efficient. Whether you are fine-tuning campaigns or creating original and impactful messages for target audiences, AI can simply analyze the data at a faster clip and provide actionable insights to improve ROI. When employing autonomous digital media marketing tools that are driven by AI, businesses today will be able to identify new audiences and high performing ad types. Many underutilize the power of AI or lack of scope for exploration might have prevented to even consider it. In each business scenario, management and executive teams must modify areas internally in order to embrace the new technology. Team members will usually undergo new training to learn how to use the AI effectively. Companies, on the other hand, will need to reassure employees that they will not be out of a job. Over the last two years, more data has been generated than in all human history combined. Companies today are drowning in data, but AI can help to reap strategic advantages from it. Google, Facebook, Amazon and Uber are all data-driven companies where AI is central to their business models, top line revenue, and profitability. Google monitors the sites that you visit, what you discuss in Gmail and predicts which ads would serve you best. Facebook keeps track of your interests and the groups or the network of friends that you are associated with; based on which the predictions are done to evaluate which ads you are likely to click on. In the same manner, Amazon too can predict what you are going to buy next based on your purchasing history. It is evident from the above examples that AI together with proper strategies can help companies to generate trillions of dollars in terms of both value and revenue. Companies today are already experimenting or implementing AI to see what impact it leaves on their business. The presumption is that profitability is already ahead of the curve and well-positioned for the future.